Audio Download for CGA1312 In a Mother's Love by Thomas Keesecker. Tender and beautiful, this piece brings a touching text to life through a melody and accompaniment paired thoughtfully by the composer. 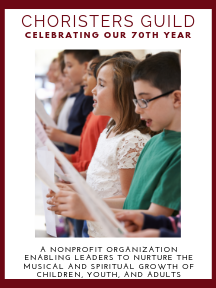 The text is sophisticated and the vocal rhythms and harmonies unique, making the piece a good choice for mid to upper elementary choirs. The optional violin part soars above the vocals, imitating a mother looking over her children. Please note: DLA1312 is a digital download-only product. Please add this product to your cart and proceed to payment. Once payment is processed, you will receive an email containing a link to download this product and save it to your computer. Use of the downloaded product file is granted to the original purchaser only and the file may not be transferred or shared.